Home affairs says plans to expand the eHomeAffairs service for smart ID applications will be communicated in due course. 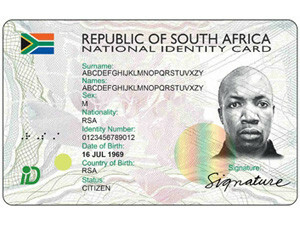 More than 10 000 citizens have used the Department of Home Affairs' online portal to apply for smart identity documents (IDs) and passports, according to department spokesperson Mayihlome Tshwete. After much anticipation, home affairs finally launched the eHomeAffairs portal last month. The online portal is part of the department's strategy to move services from paper to digital and eliminate lengthy queues at its offices. The online portal allows citizens to apply for identification documents from the comfort of their homes or offices. South African citizens between the ages of 30 to 35 are able to apply and pay online and then go to any of the four selected banks ? Absa, First National Bank, Nedbank and Standard Bank ? to have their photo taken and their fingerprints verified. Despite the extremely positive public response to the online system as noted by the department, it appears plans to offer the service to another age group as well as a rollout in other provinces are still in the works. "The plans will be communicated once an agreement has been reached between the department and the banks, and the age limit increase is being considered. It will be communicated once a decision has been made," saysTshwete. The online service is only available in Gauteng and the Western Cape. It is offered at 10 bank branches in Johannesburg and one in Cape Town. Commenting on plans to increase the service to more branches in the near future, Tshwete says: "The department is engaging with the banks for a possibility of entering into a private-public partnership agreement." Home affairs is in a race to replace 38 million green bar-coded IDs with smart ID cards that have better security features and are extremely difficult to forge. "We trust the new eHomeAffairs initiative will assist greatly to reduce long queues in front offices while accelerating the replacement of green bar-coded ID books with smart ID cards. In this regard, we appeal to clients to bring along their ID books and required supporting documents," the DHA has stated. The department says it has issued more than four million smart ID cards to date.